Tyre Fitting in Lincoln could not be easier. With TyreFitDirect we can supply and fit tyres to nearly all UK mainland destinations either on one of our mobile vans or at one of our depots. So if you are looking for tyre fitting in Lincoln you have just found your local online supplier. We fit tyres on almost all makes, models and derivatives of cars and vans and are available either online or on the phone. At TyreFitDirect we pride ourselves in offering some of the best deals on the web. Please peruse our site to check out some of our offers. We look forward to fitting tyres for you in Lincoln soon. TyreFitDirect, the Lincoln tyre fitting company of choice. Lincolnshire, Situated in the East Midlands, it’s one of England’s largest counties second in size only to Yorkshire. The county of Lincolnshire has a population of approximately 714,000 people. Places of interest in Lincolnshire include, the City of Lincoln and its amazing 900 year old Cathedral and Lincoln Castle which dates back to 1068. 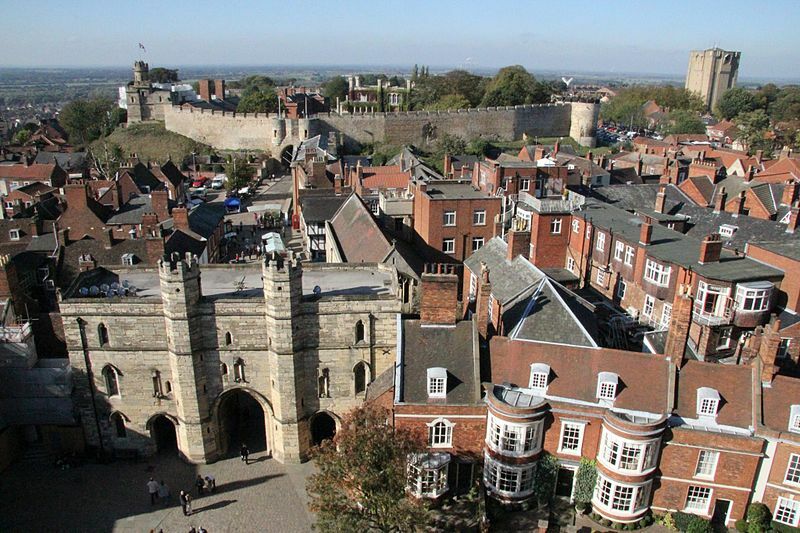 Lincoln Castle is also home to one of the most important historical documents in the UK – the Magna Carta. The Magna Carta was the very first document to set out the Law, as we know it today. The town of Grantham is home to Isaac Newton and also the birthplace of Britain’s only female Prime Minister Margaret Thatcher. Scampton, in Lincolnshire is the home to the Red Arrows, the famous RAF Aerobatic Team. The county capital, Lincoln City is situated in a gap in the Lincoln Cliff 141 miles (227 kilometres) north of London. It is a cathedral city and the county town of Lincolnshire, within the East Midlands of England. The non-metropolitan district of Lincoln has a 2012 population of 94,600. Lincoln developed from the Roman town of Lindum Colonia, which developed from an Iron Age settlement. The city is also home to the University and Bishop Grosseteste University. It is is situated in a gap in the Lincoln Cliff 141 miles north of London, at an elevation of 20.4 metres above sea level by the River Witham, stretching up to 75 metres above sea level in the uphill area around the cathedral.